We had a Sunnybrook fiver for 14 years. We went across country with it and travelled in most of the lower southwestern states. It was a great unit BUT when I retired I got a wild hair and thought I wanted a Class A. I sold it and bought a 40 foot dp. While the motorhome was ok we missed the room in a fiver and really could not see the advantage of it. So we sold that and now have the fiver in my sig. We have several thousand miles on it now and I am happy to report no problems. I had the awning led lights replaced and a new on board water pump but that is it. I did a lot of research before purchasing the fiver as this will be my last one. Our Sunnybrook was a 2002. Our 32.5 ft. 2001 Okanagan. Had it since new and have looked after it meticulously. Very spacious,pulls well and looks good. Have had lots of positive comments about when at parks. Our 2004 Sunnybrook is still going strong and used regularly. It is a dependable and comfortable RV and has never been into a dealer for repair for any reason. l am sure it will last until we are gone at which time it will serve our son and grandkids. 2011 Heartland Bighorn 3055RL. Solid, quality built unit. Have not seen any today with the same quality for that price range. My old '97 in sig was from Thor which some said was junk even back then. Its been a excellent unit for us. Previous 5er was a '95 Wilderness by Fleetwood. Same folks says it was junk because it was from Fleetwood. It also was a great unit. The wife wanted a bedroom slide so we sold it for the Thor built 5er. JMO.... in 20 years someone will start the same thread about older trailers were some how better. 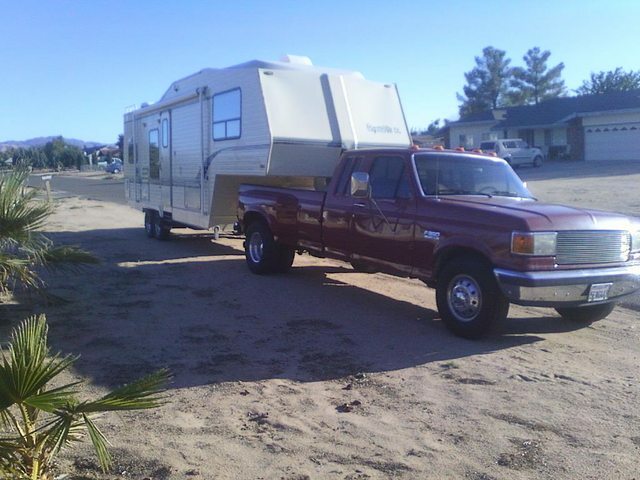 Just bought my 2000 Thor wanderer 5th wheel from the original owner. Totally happy with it and no intent to buy a newer toy hauler with what they cost. I wish we still had our Alpinlite 29RK......well built unit and great floorplan.